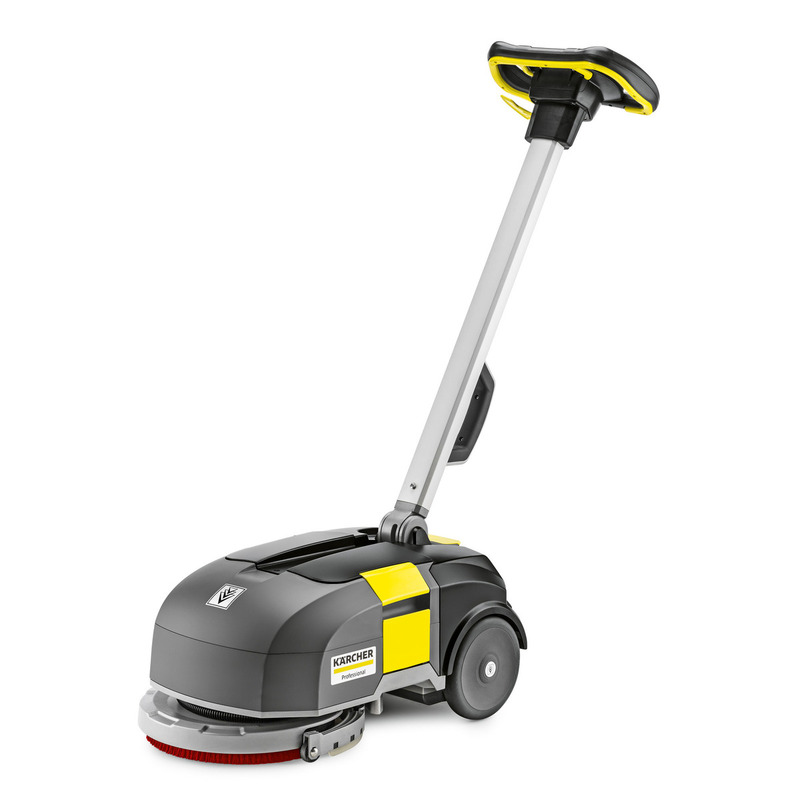 BD 30/4 C Bp Pack ultra compact scrubber drier gives an impressive performance on small areas of up to 300 m². Whether on natural or artificial stone, epoxy resin, linoleum or PVC: significantly faster and more thorough than cleaning by hand, the machine also suctions in reverse if needed and, thanks to the rotary squeegees, in all other manoeuvres as well. The well-designed and extremely simple operating concept with colour-coded control elements can also be seen in the quick and easy replacement of the powerful and quickly rechargeable lithium-ion battery. Incidentally, the machine’s light weight of only about 20 kilograms facilitates its use on different floors, even when there is no lift. Powerful lithium-ion battery, including Completely maintenance-free and with a battery lifetime several times higher than that of conventional batteries. Trouble-free partial or intermediate charging possible. Reliable suction of water, even in tight curves. Backward suction also possible, if needed. Including soft, oil-resistant polyurethane squeegee. Can be used in any power outlet. Lock and chassis made of high-quality aluminium. Helps save on water and prolongs battery run time. Saves costs through longer cleaning intervals and reduced cleaning agent consumption. Efficient cleaning of small and highly cluttered surfaces. Adjustable handle makes it possible to move away from walls at a 90° angle. No lift needed for use on different floors. Can be easily stowed in a car by one person.